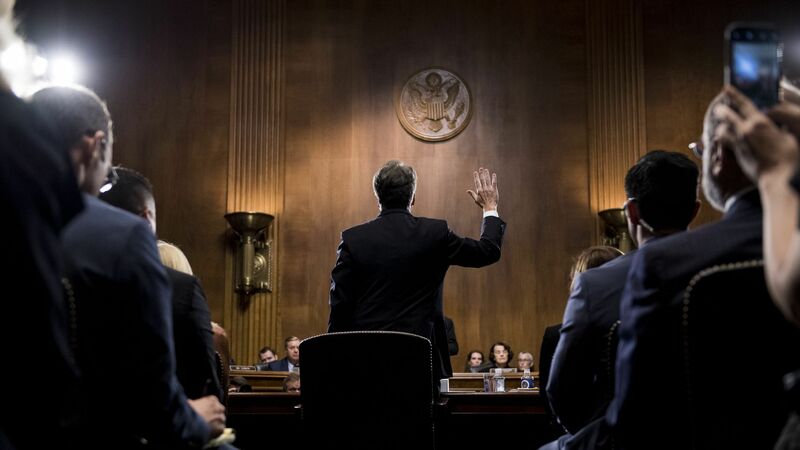 The Senate Judiciary Committee has voted to advance Brett Kavanaugh's nomination to the to the Senate for a full vote — but only after Sen. Jeff Flake (R-Ariz.) said he wants a one-week delay in the Senate vote so the FBI can conduct an investigation into the allegations against Kavanaugh. What to watch: Senate Majority Leader Mitch McConnell can still bring Kavanaugh’s nomination to a floor vote as early as Saturday. But Flake made it clear that “I won’t be comfortable moving on the floor” until the FBI conducts an investigation. The big question: Will McConnell delay the floor vote? He hasn't said, but Axios' Caitlin Owens reports that Sen. Lisa Murkowski, a key Republican swing vote, is siding with Flake. Senate Majority Whip John Cornyn says Senate Republicans will meet this afternoon to discuss the new developments. Note that Trump has the power to order an FBI investigation into the allegations, but he has yet to say if he will do so. Flake announced this morning that he would vote for Kavanaugh out of concern for "fairness and due process," but was later confronted by a sexual assault survivor in a tense encounter that was captured on video. Editor's note: This post has been updated to note that Murkowski is siding with Flake and that Senate Republicans are meeting.